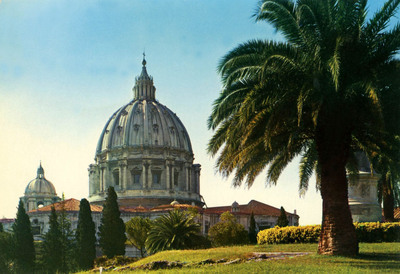 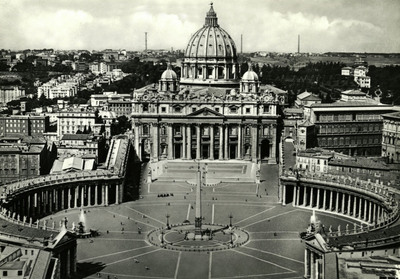 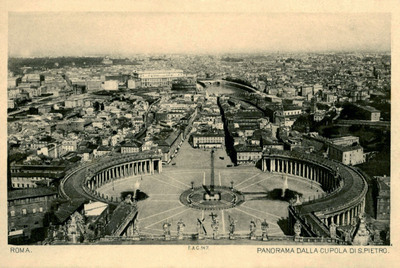 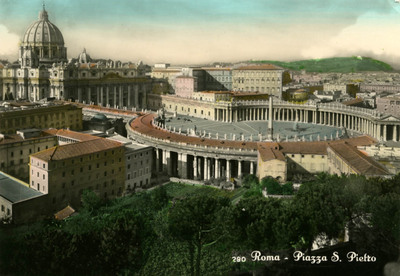 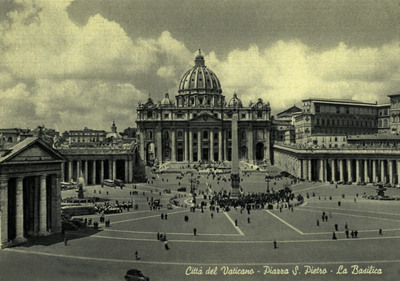 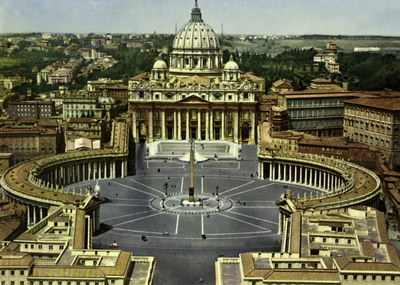 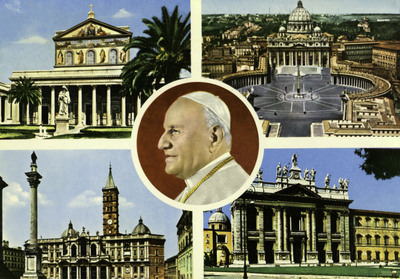 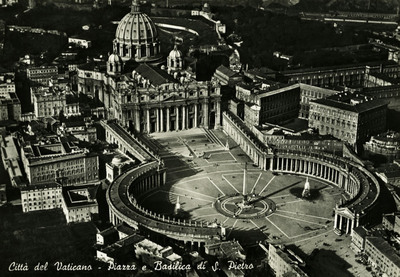 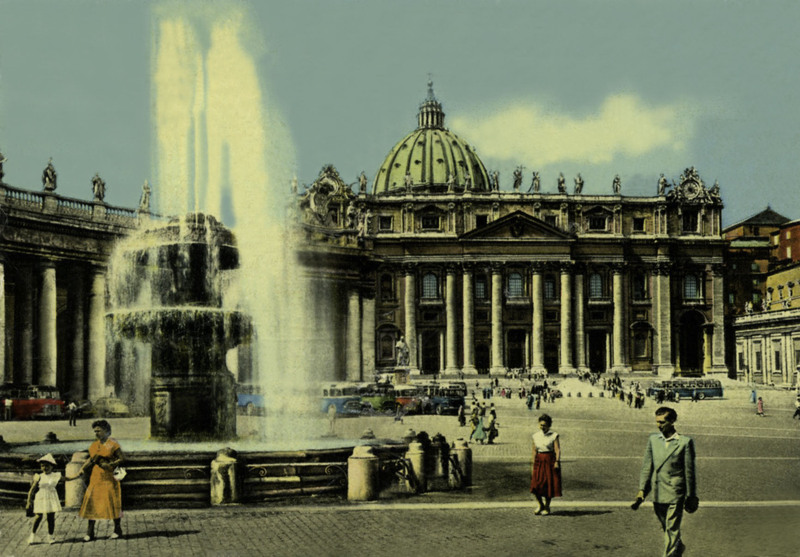 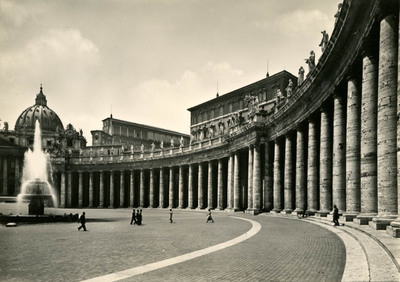 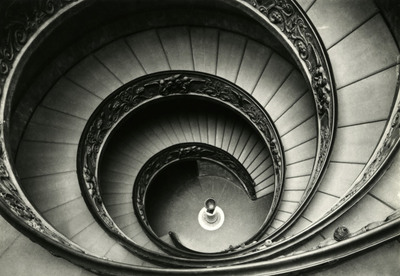 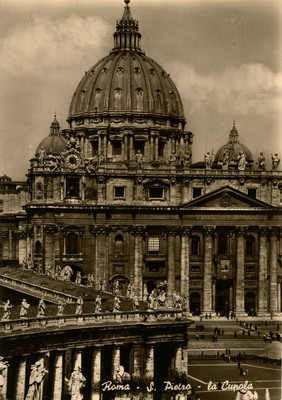 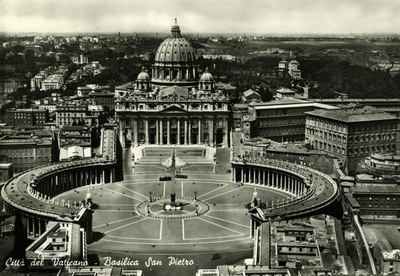 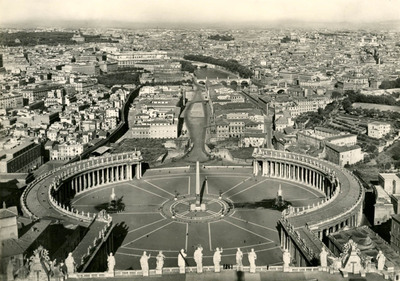 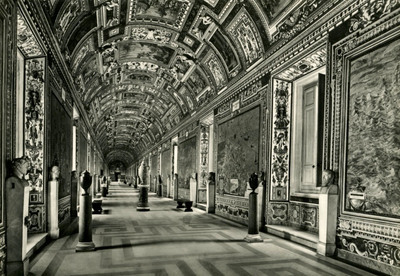 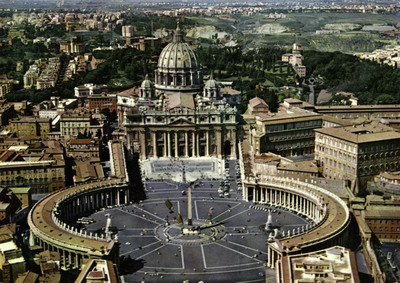 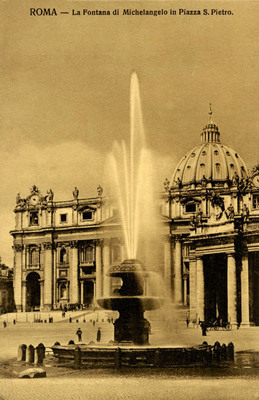 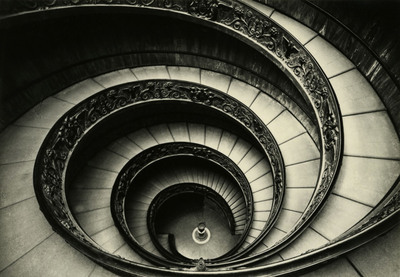 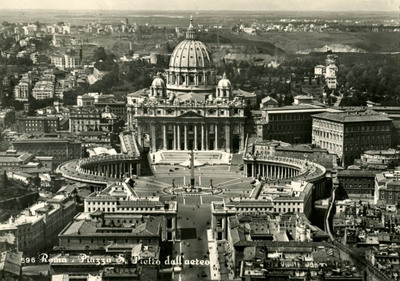 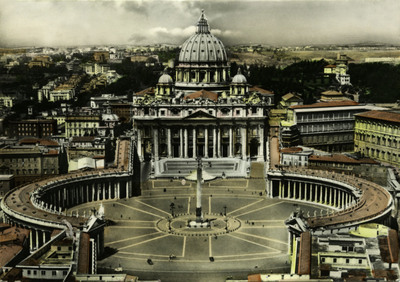 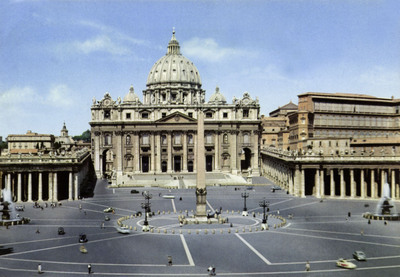 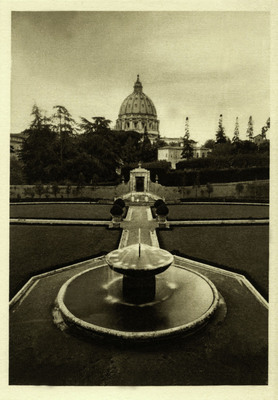 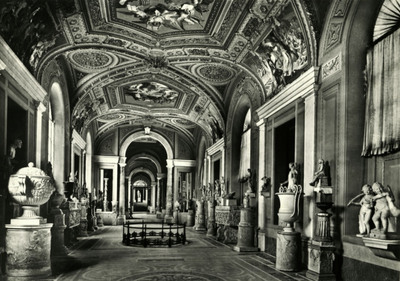 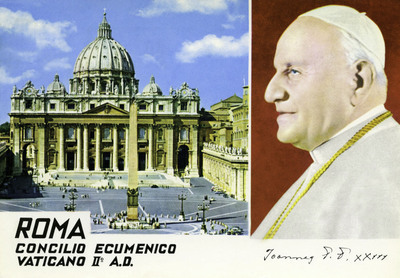 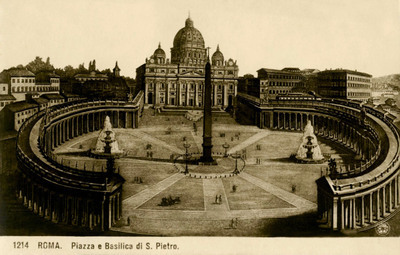 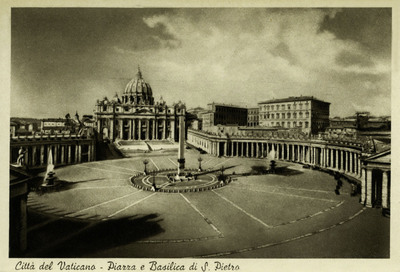 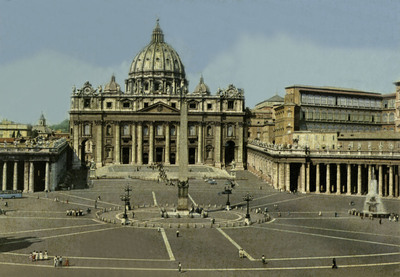 This remarkable collection of postcards depicts the Vatican from the earliest years of the twentieth century through the 1960s. 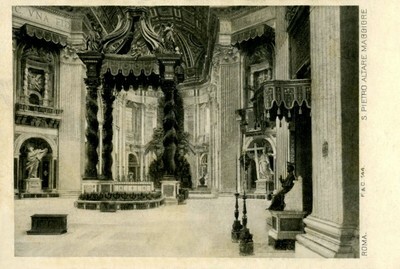 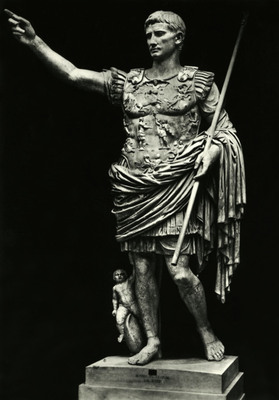 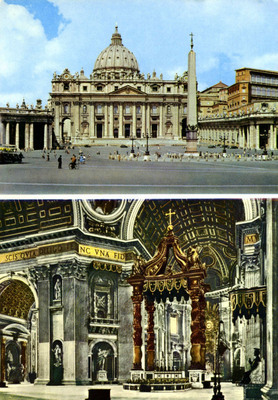 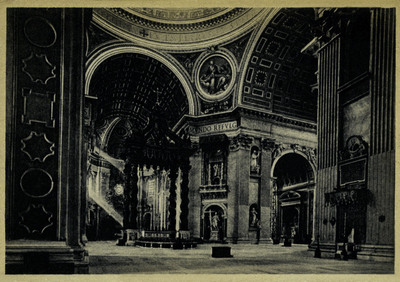 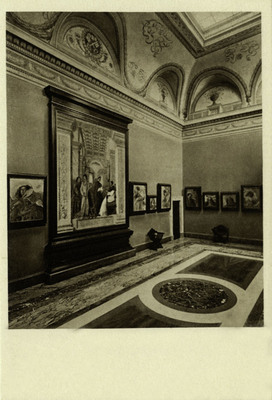 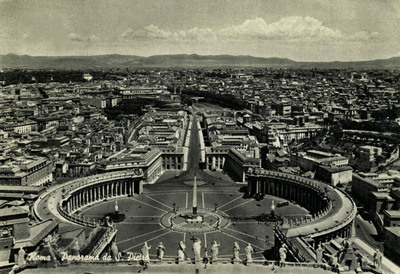 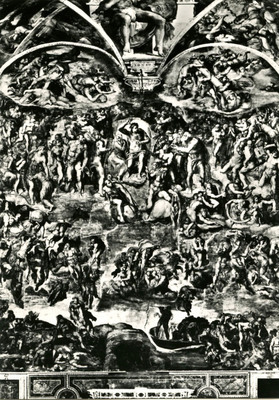 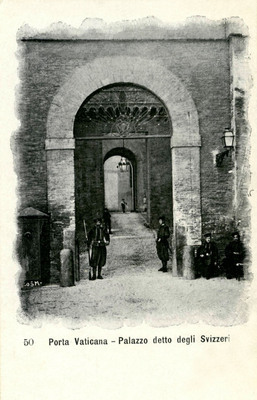 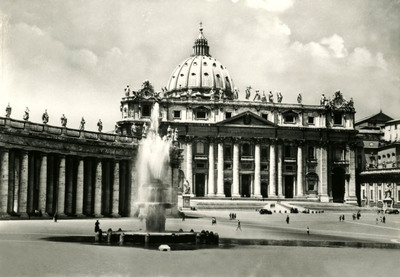 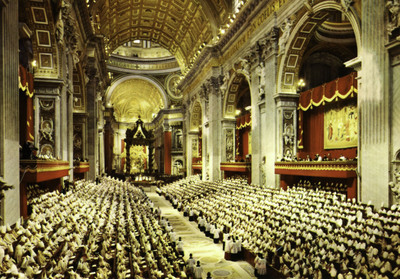 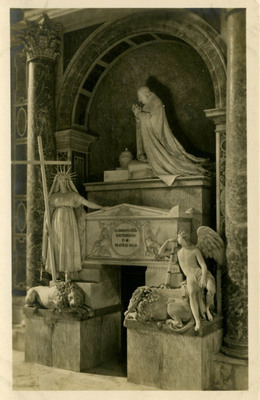 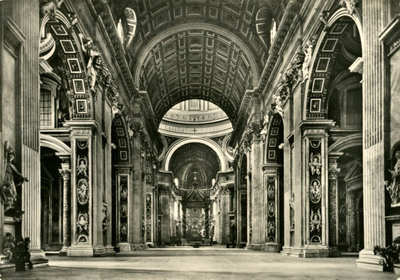 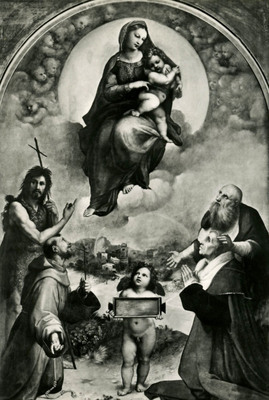 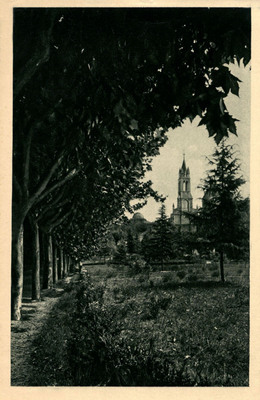 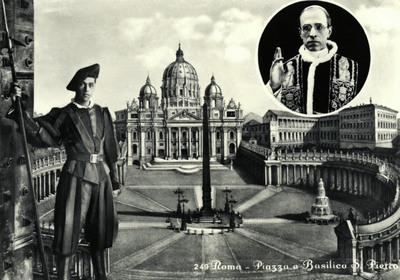 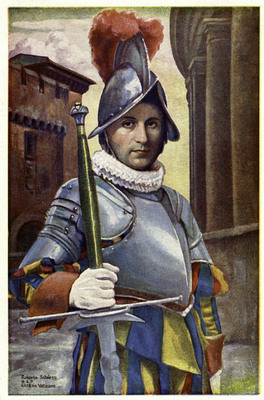 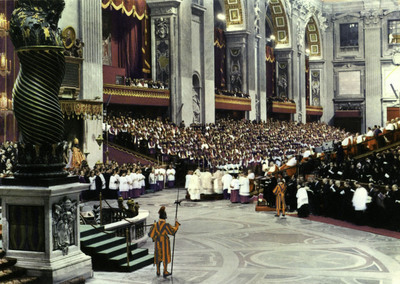 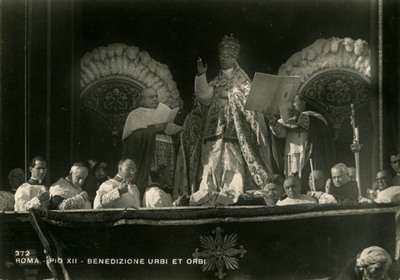 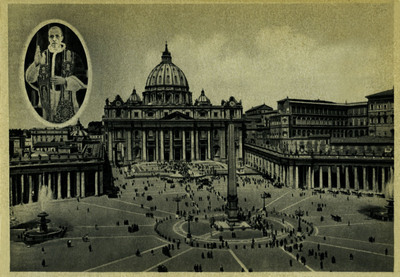 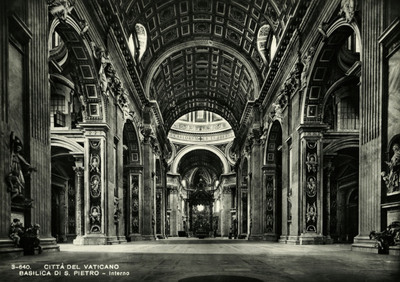 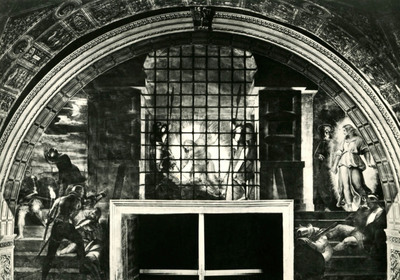 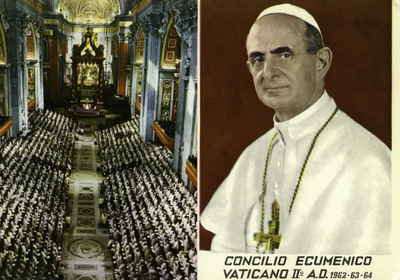 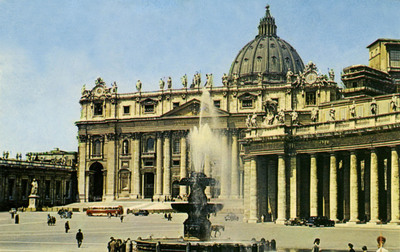 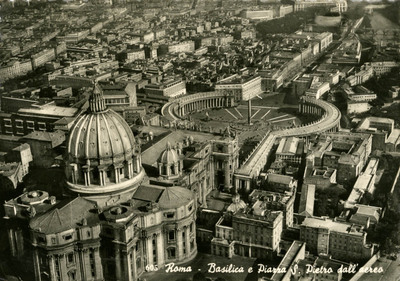 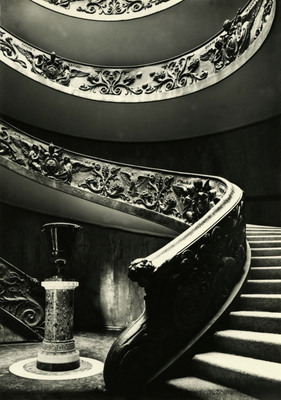 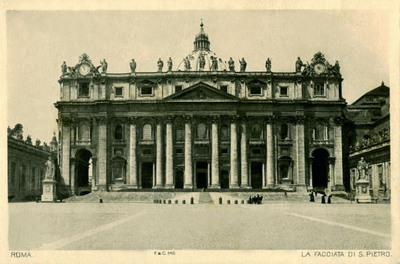 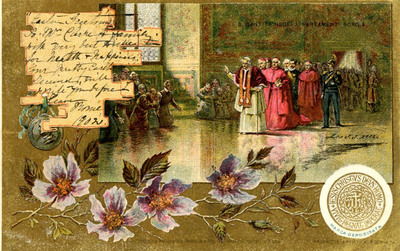 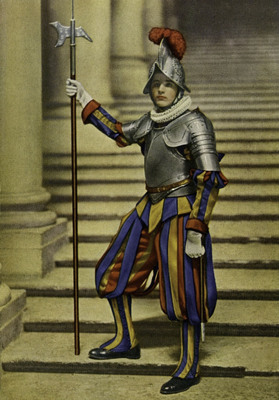 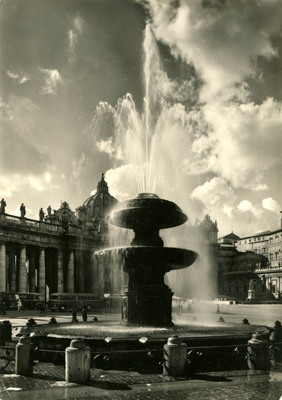 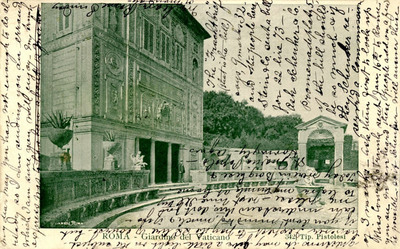 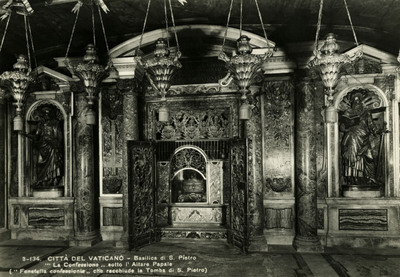 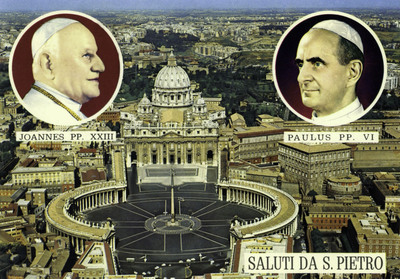 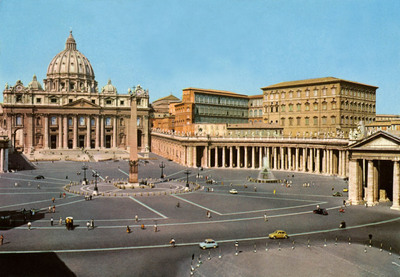 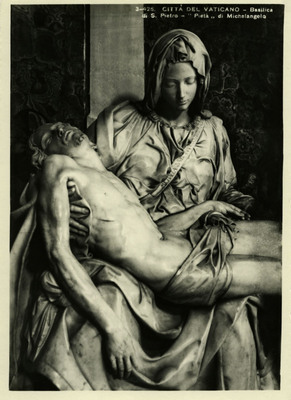 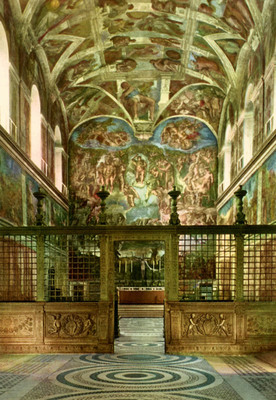 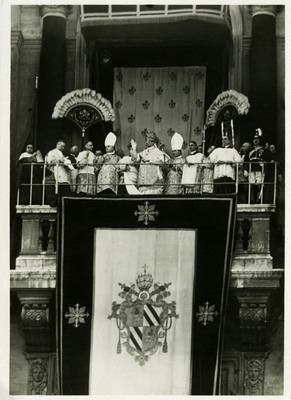 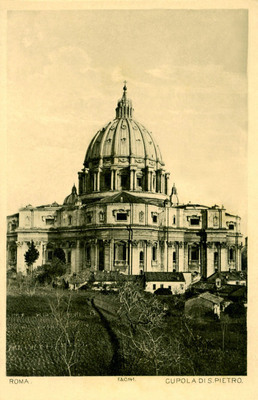 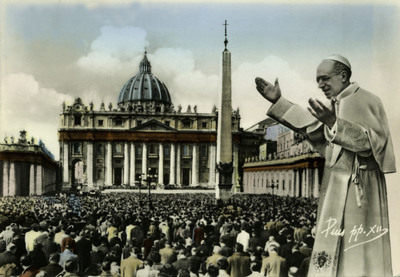 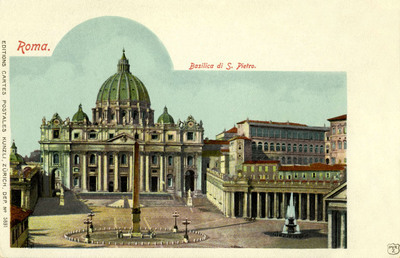 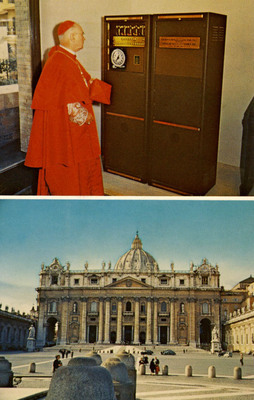 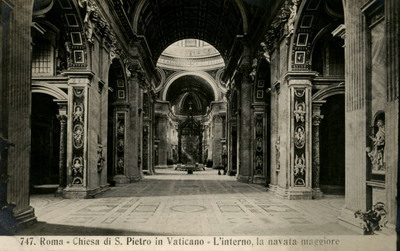 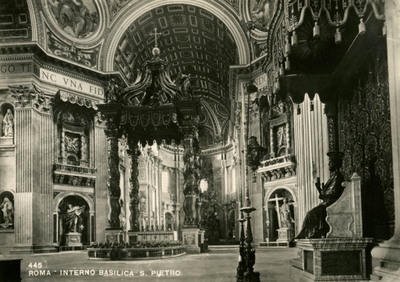 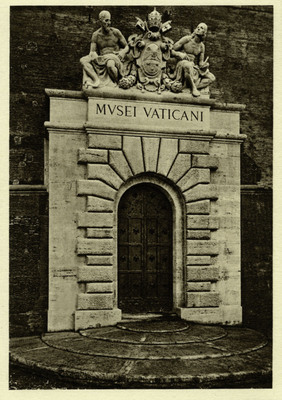 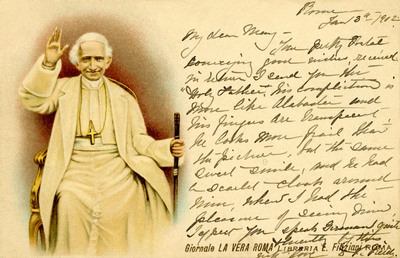 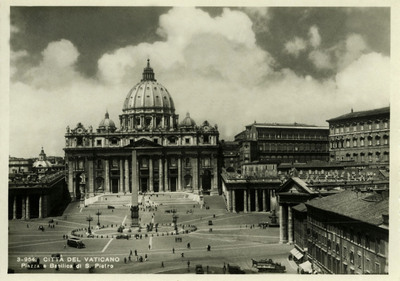 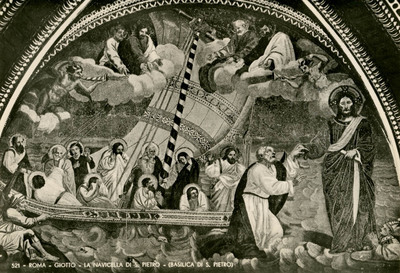 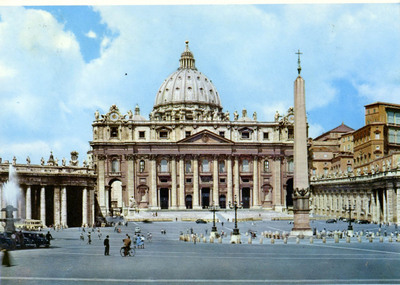 The senders of postcards found in this collection describe audiences with the Pope, tours of the inspiring art and architecture of the city, attendance at special masses, and for those visiting during Vatican II, the excitement and wonder of witnessing an important moment in Roman Catholic history. 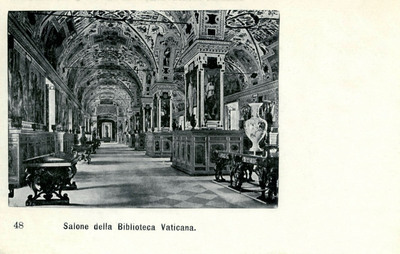 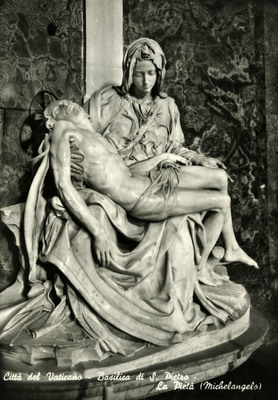 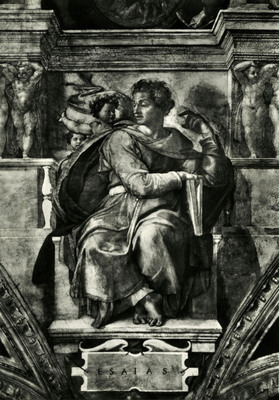 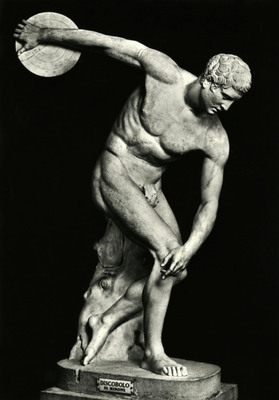 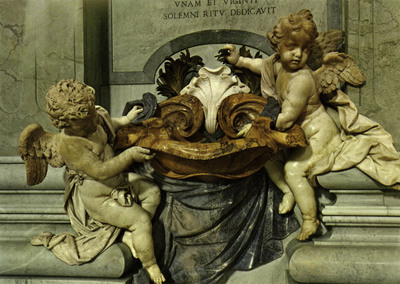 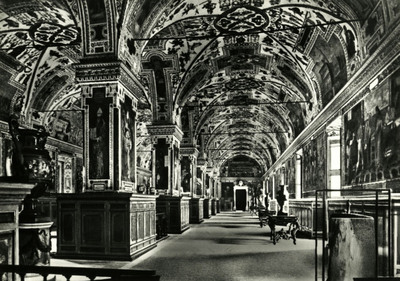 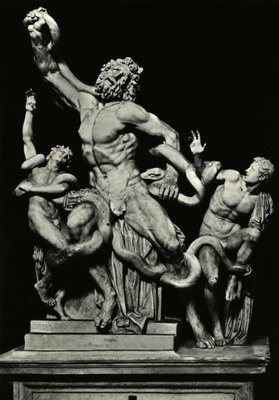 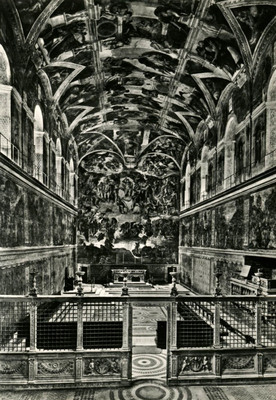 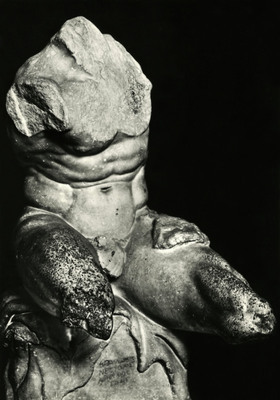 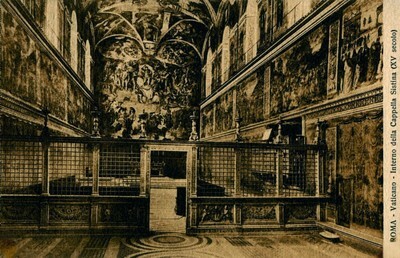 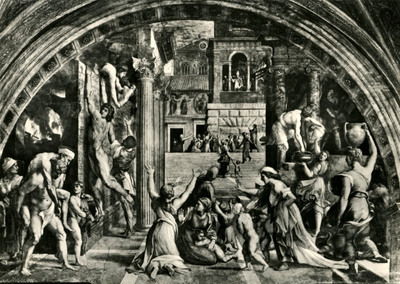 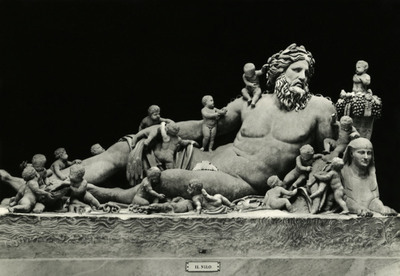 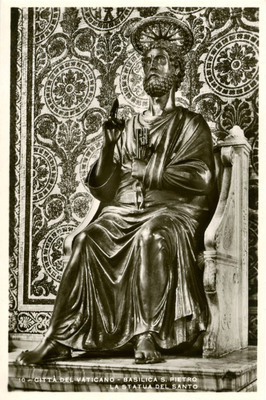 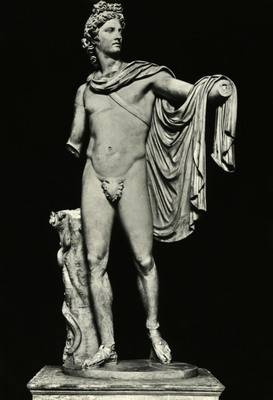 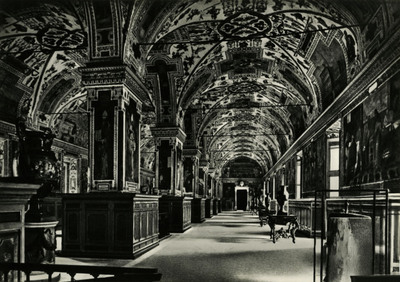 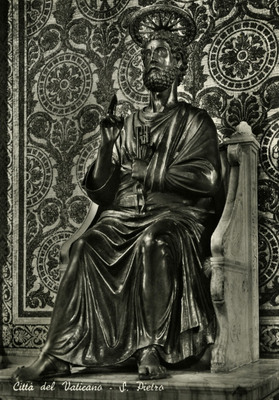 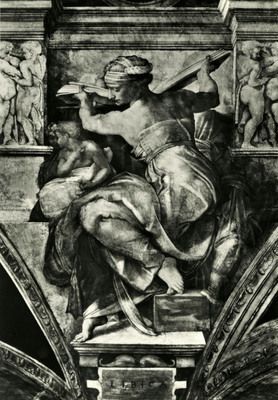 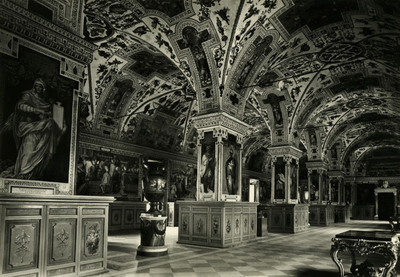 Città del Vaticano - Biblioteca: Salone Sistino, veduta. 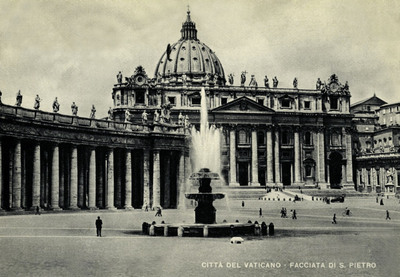 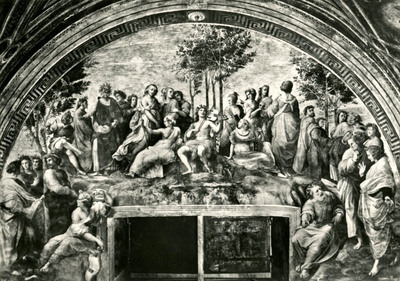 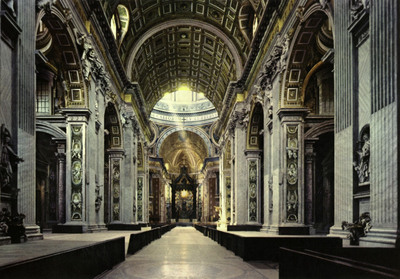 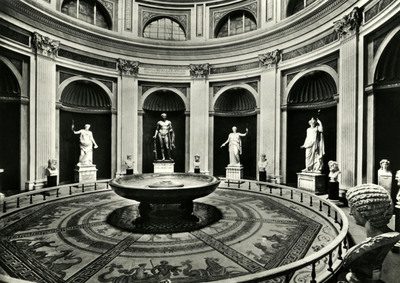 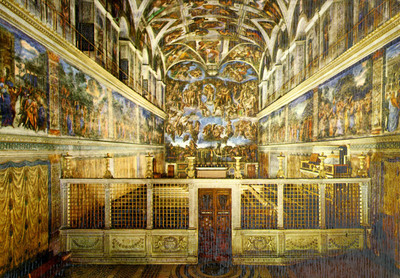 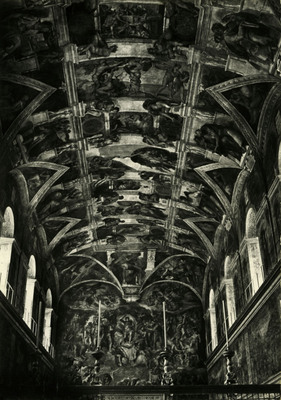 Città del Vaticano - Cappella Sistina, veduta.